If we are made in God’s image, and God is everything or God is nothing, then humans are a piece of God. Some call it “the God within”. When we are feel separate or apart from other humans, we only increase the separation from God. The ugliness we see and fear in others is directly correlated with what we see and fear in ourselves. Embrace and forgive yourself for the dark, for without it, we wouldn’t know light. Without bad we wouldn’t know good. When we can see the God in others, when we can look for the good, the beauty, the light, we can move closer into God consciousness. Unity means we don’t do this alone, we do it together. When you ask for those you need to assist you on your journey, you will be given those guides. It’s up to you to recognize them when they appear. It takes willingness to take the hand of those God given to you, and allow them to lead you. Trust in God and his humble servants to not lead you astray. Shed the old that hold you back. I push forward into the life I’m meant to have, instead I the life I thought I should have. Most of the time I trust in the universe that what I’m meant to have, I will have. The people I need to assist me on my journey and help me fulfil my purpose will be placed in my life, and those that no longer serve their purpose will be removed. Sometimes it takes me a while to see things clearly. Sometimes it takes me a while to get into acceptance of what happens to be. Sometimes I doubt, sometimes I get confused and lost. Sometimes I struggle and resist. I often get stuck trying to “figure it out” which inevitably always fails. I’ll try hard to predict the future based on the past or present, a future that for all I know, may never come, instead of trusting. Sometimes I forget to be patient. Then I remember that the only I thing I may ever know for sure, is right now. I guess this is all part of my humanness. In the end though, I always have a knowing deep down inside, that my creator is all around me, and I will always, no matter what, be okay. I used to be so selfish. If anyone else had good things happen to them I would immediately compare myself to them and be jealous and resentful. Never grateful for what I had, it was never enough. I always wanted more. Even with people I thought I loved, I felt this competitive nature about it. Like everyone else was always to going to get ahead and I wasn’t. I don’t even know now. I wanted people to be happy, but not happier than me. I wanted good things for others, but not more than me. Now I feel tremendous joy when I see others grow and succeed. I have put myself aside and I strive to help others get what they want out of life. Where does this change come from? It comes from the knowledge that when others succeed, I succeed. When others awaken, I awaken. It comes from a deep belief that God wants the best for me and that my purpose on this planet is to help turn the lights on in other people. God has granted me with a gift of being able to heal others hearts. God will ensure that I am where I am meant to be as long I take the path suggested and I use my gift to do God’s will. And I have a solid knowing that I am right where I am supposed to be. As I have grown and awakened to truth throughout this life’s journey, as much I have learned, what I know about myself today is that I can easily forget everything. I can shut myself off from God in a second, stop doing what I have been doing that works and then instead of being driven by spirit, I am driven by ego. I become closed, ego prevents me from hearing truth and the downward spiral occurs. Instead of standing in the light with my fellows, I end up standing in darkness alone. The good news is as soon as I become wiling and open to listen, I again remember why I’m here, what my purpose is and what is really important, like being awakened from a bad dream. There is no past, no future, just now. I am not this body nor this character in my story. I’m not here to for the career, the money, the things, the partner, the friends, the kids, the family or any acknowledgement I may seek to gain from these things. The main thing that remains constant, the truth I always come back to from all this, is that my only job here on the planet is to love and embody love. It seems too simple to be true. It is entirely that simple. Today I was reading in my morning meditation book about God wanting our heads in the clouds with God but our feet planted firmly on the ground because this is where our work is to be done. I think all of me was floating in the clouds for most of the first year of my sobriety and I did not want to come down and firmly live as a human on earth. It was a beautiful experience that I cherish. However, no matter how much I didn’t want to connect to my human side and come down, it happened anyway. It feels like I came down hard. Even though it feels uncomfortable and terribly painful, it is the touchstone of growth. I heard a song lyric the other day that comforts me and it says, “even the best fall down sometimes”. I don’t have to be perfect, I am already perfectly perfect just how I am. If I am to be who God wants me to be and do God’s work then it must be here on earth, connected fully with mind, body and spirit. This is the new part of my journey and I must remember that I am never alone in this. 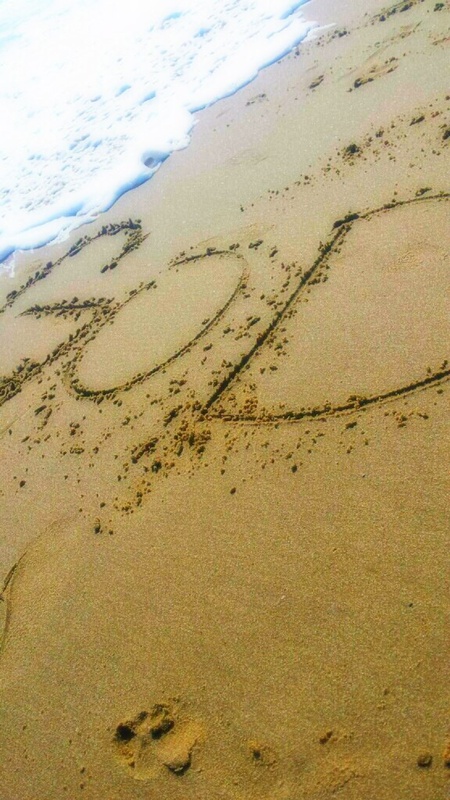 God is all around me in every moment, with every breath I take and with every step I make, no matter where I go. The problem of being stuck in self was the root of all my problems. When I all I think about is how I am going to manage in this world, how I am going to have money, security, a career, friends, lovers, having fun, safety and everything else I can obsess about, the result is misery. For me everything goes back to the relationship I have with my creator. If I trust this thing, if I believe it is always by my side, guiding and protecting me, then I have much less fear about life and my place in it. I have surrendered to the fact that I am here to do the will of my creator first and not my own. That doesn’t mean I don’t get to have an amazing life. In fact the more I put others first and serve my creator and humanity, the more my life steadily improves. It sometimes feels like getting out of self is against my natural inclination. However it is only my ego that fights it, not the ultimate nature of my being. I just continually do all I can to keep the gift of my awakening alive and take actions to not slip backwards into unconsciousness.